Vom 13.06.2017 bis zum 14.06.2017 wurden 23 Knowledgebase Artikel veröffentlicht. This article provides information on branding to the desktop portal. The ESXi storage device settings are not restored after the reboot of the corresponding LUNs presented from EMC ScaleIO.For example Maximum Outstanding Disk Requests(DSNRO), Queue Full Sample Size, Queue Full Threshold. Use the following information to determine the Horizon agent (remote desktop and application) operating systems that support the feature. 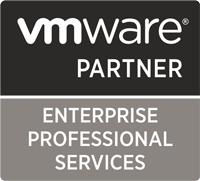 This article describes the end of availability of vSphere Enterprise, vSphere with Operations Manager (vSOM) Standard and Enterprise edition. As of the Cerrano release of VMware Horizon Cloud with Hosted Infrastructure (formerly known as VMware Horizon Air Cloud-Hosted), when you set up virtual machines and applications in the new administration console, you do not need to select the protocols to make available to the end user. Users automatically use the best protocol based on the client they are using to access the service. The DaaS end user access protocol defaults to either PCoIP via the Horizon Client or Blast via HTML Access…. Unable to perform refresh operation on existing pool after changing the local administrator password on a gold pattern. Refreshing the existing pool timeout and fails. Cannot publish or reseal gold pattern/image. Publishing or resealing gold pattern/image task fails. This article provides information about VMware Horizon Cloud with Hosted Infrastructure (formerly known as VMware Horizon Air Cloud-Hosted) Service details page in My VMware.